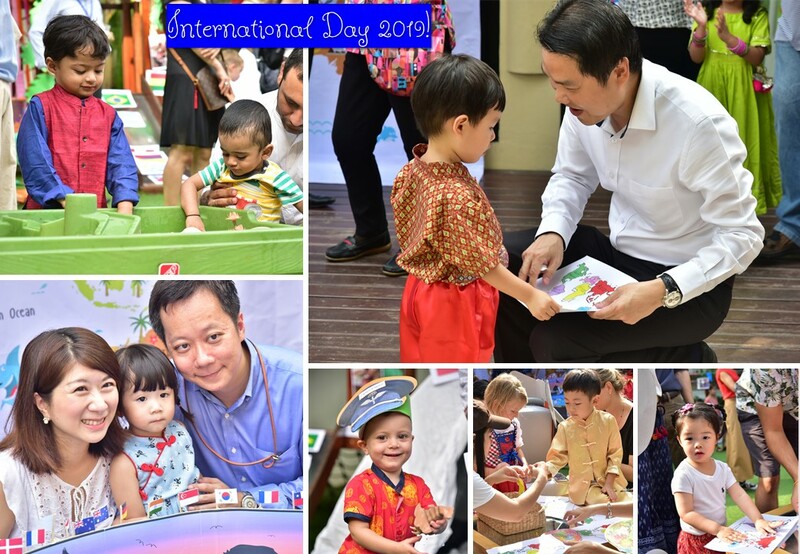 What a terrific 4 weeks we have had leading up to our much-anticipated International Day! 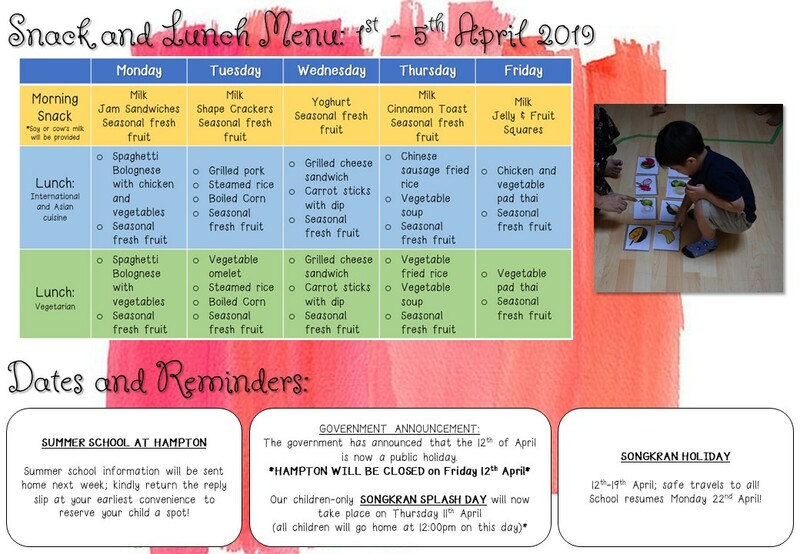 At Hampton, we strive to ensure that our children’s learning experiences are connected in all areas of learning throughout each day, each week and within each theme. 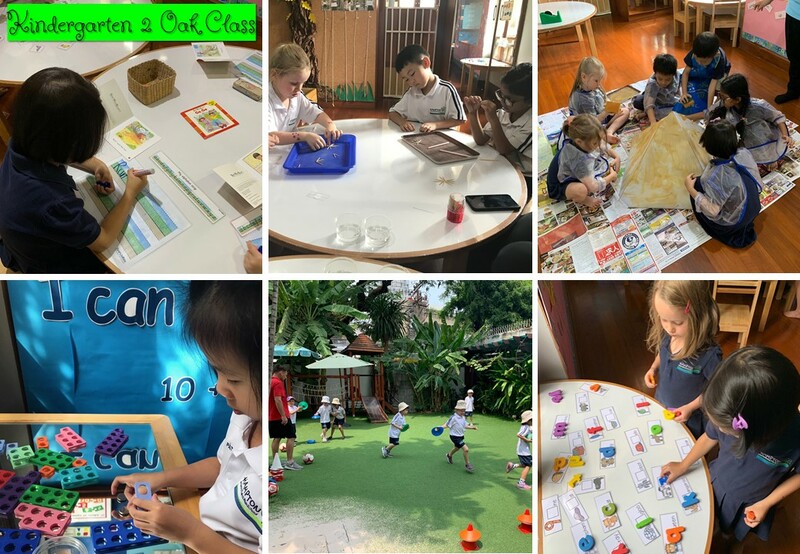 Our school-wide ‘Jobs People Do’ topic was such a hit with the children as they were encouraged and challenged to bring their outside-of-school experiences into the classrooms, use their vast imaginations and interact with their peers in different ways through role-play activities. 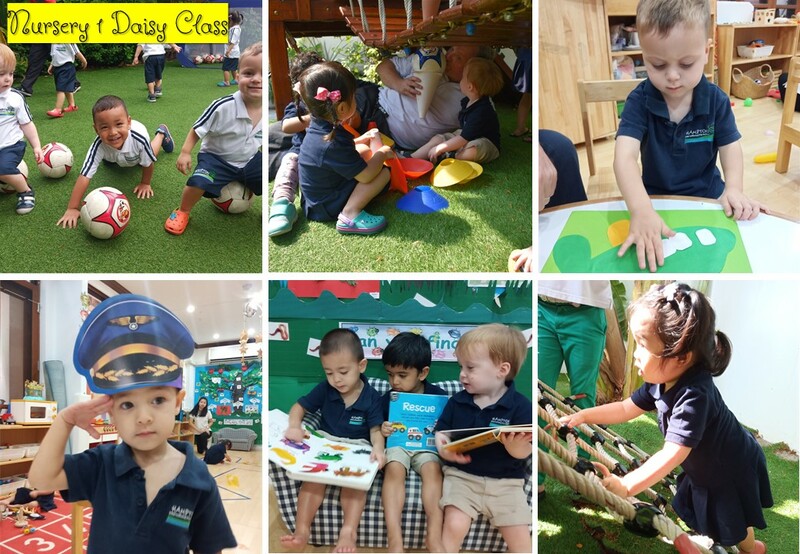 This week, the Nursery 1 and Nursery 2 classes learned about airplanes, airports and pilots. ‘I’m a Little Airplane’ could be heard playing all day long in each of these classrooms as the children sat in their [pretend] airplanes and went on trips all over the world! The Nursery 1 Daisies were spotted getting quite creative with recycled materials and made their own airplanes using these resources! 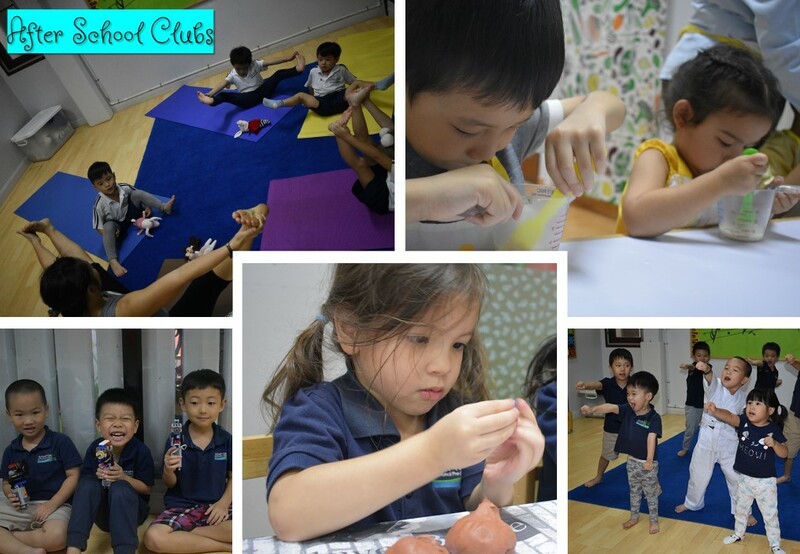 Meanwhile, the Nursery 2 Maple Class practised the concept of ‘big, medium and small’ with clouds, airplanes and pilots as well as practised colour sorting while matching coloured airplanes to the same coloured runways! 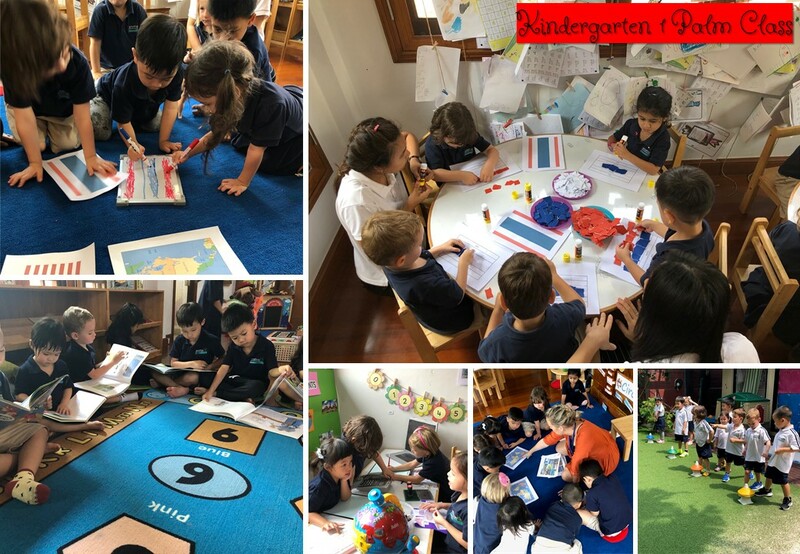 As for the Kindergarten 1 and Kindergarten 2 classes, they were busy learning about and role-playing like travel agents. They were booking tickets, collecting money and assigning seats for their friends! They also dove deeper into where all their classmates come from and shared detailed and descriptive travel tales during Circle Time and Show-and-Tell times. 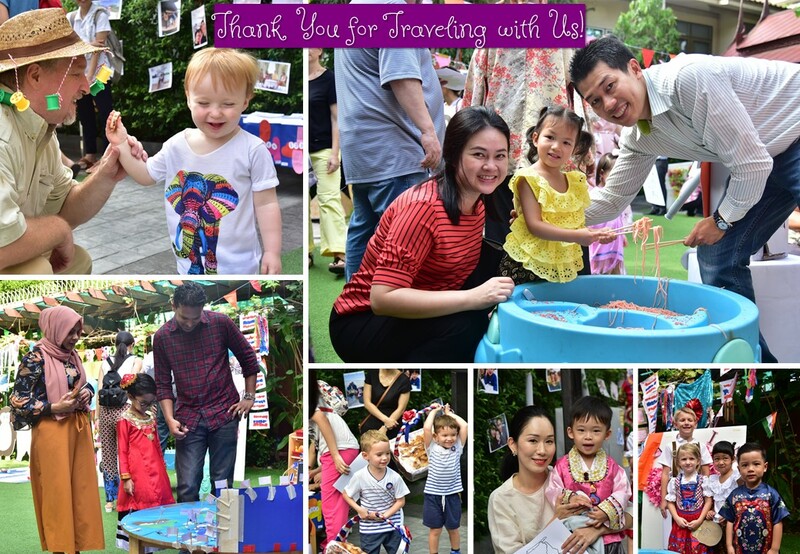 A GIANT THANK YOU to all Hampton Families for your support, participation and smiles at our International Day event today, Friday 29th March 2019. 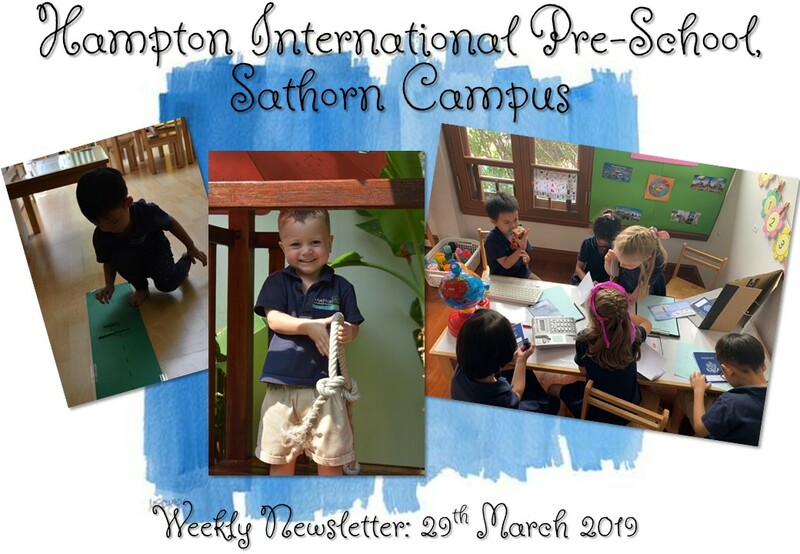 The children had great fun arriving to ‘Hampton International Airport’, placing their bag in the bag scanner, walking through security, receiving their map and traveling to all 7 continents where they confidently tackled various games, activities and crafts at each! Parents, thank you ever so much for your generosity and participation in our ‘International Food Potluck’! The tables were filled with delicious food from all over the world. 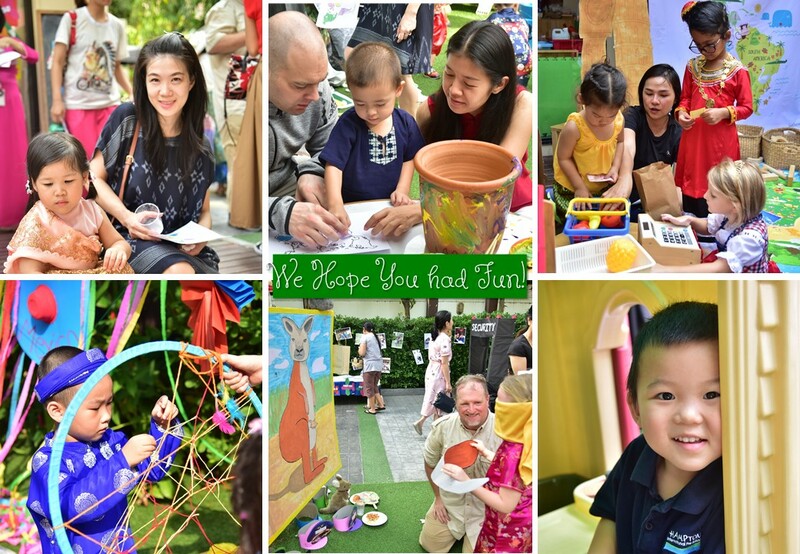 Thank you for making this years event even more special! 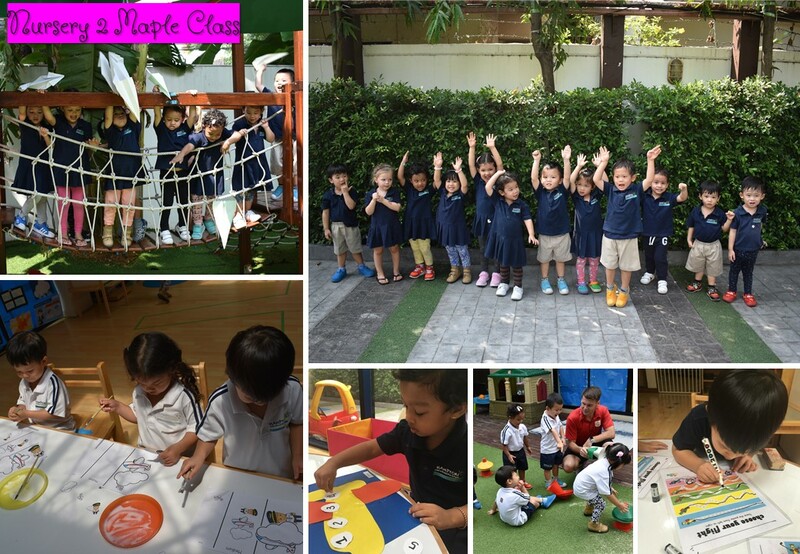 Next week, the children will all explore one last ‘Job People Do’ before an exciting week of water, flowers and colour fun leading up to our children-only ‘Songkran Splash Day’ on Thursday 11th April! More information will be sent in next week’s newsletter.